As You Wish was built with almost every option available, and more were added at commissioning. She offers a unique layout with a real galley. This enables complete comfort while cruising or at anchor. She has had the best of care since new and shows perfectly. Don't miss this one, she's the best one yet! Easy to see at our GB Stuart Boatyard and Yacht Sales, stored under cover. United Yacht Sales New Jersey would love to guide you through a personal showing of this 50' Grand Banks 50 Eastbay Sx 2014. 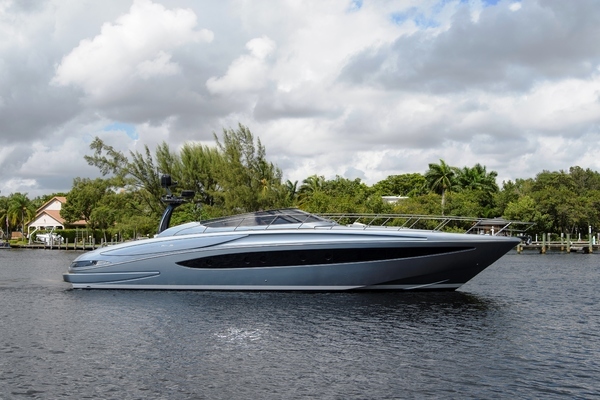 This yacht for sale is located in Stuart, Florida and priced at $1,725,000. For a showing please contact us by filling out the form on this page and we will get back to you shortly! As You Wish offers time honored, Grand Banks build quality, that will last for decades. As You Wish has always received expert engine and mechanical care, since new. Her engine room has been recently detailed and sparkles like new! Grand Banks offers some of the finest wiring in the industry with complete schematics included in the Owners Manual, for future reference. Engine room ventilation, four blowers, DC two intakes on one side, two exhausts on the other side of engine room, Delta "T"
The 50 Eastbay offers wide side decks with easy stepped access from the cockpit. There's an electric helm door that when closed, is hard to distinguish as it blends in perfectly. Cleats, for mooring, stainless steel, fixed, 12"
The 50 Eeastbay offers expansive, sliding glass doors that open onto a mezzanine deck with cabinet on port for ice-maker and sink; and STBD cabinet has an electric grill and drink refrigerator. There is also fixed docking controls with joystick under a flip-up cover. Settee, (i) forward-facing at transom, straight, molded fiberglass, underseat storage, (ii) cushions, self-piping, vinyl SoftDura "Off White"
The finest Garmin electronics were installed on As You Wish, when new. 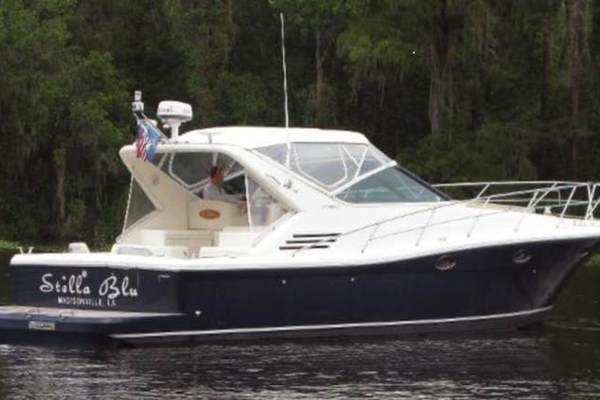 She has dual screen Garmin GPS/Radar screens plus SAT TV, Fusion Stereo throughout and much more! The salon area offers a panoramic view of your surroundings. The aft sliding doors completely open the aft deck to the salon and extend the outside, in and vice versa. This galley is a cooks dream. It is mid-level and open to the salon, has tons of counter and cabinet space, an induction cooktop, Sub Zero drawer refrigeration, wine bottle storage, pantry and much more. The master stateroom is forward and is generous in size. There is many overhead and other cabinet storage, a large area for dressing and ensuite head. A large overhead hatch brings in natural light that can be blocked out, if necessary. There are also port windows that open for ventilation. The master head is ensuite with a separate stall shower. There is a granite counter and lots of storage. The guest stateroom has two twin berths that slide together to form a double berth. There is an ensuite head with separate stall shower. This is a very comfortable guest stateroom that can accommodate two friends or a couple. The guest head is ensuite to the guest stateroom, and also has a door from the companionway, for day head use. The separate stall shower is large with glass door.